KBG antibiotic vial full-stoppering (half-stoppering) liquid filling machine is a new product which is researched and developed to apply to the development of biological, blood products project, especially the new technical of freezing and drying. This machine has advanced control system, accurate filled quantity, solid performance, beautiful appearance; it is an ideal product for freezing and drying preparation, liquid preparation and blood product. Ø Peristaltic pump is adopted for filling system, convenient for cleaning and sterilization. Ø No bottle, no filling function. The system is equipped with an anti-dripping device. 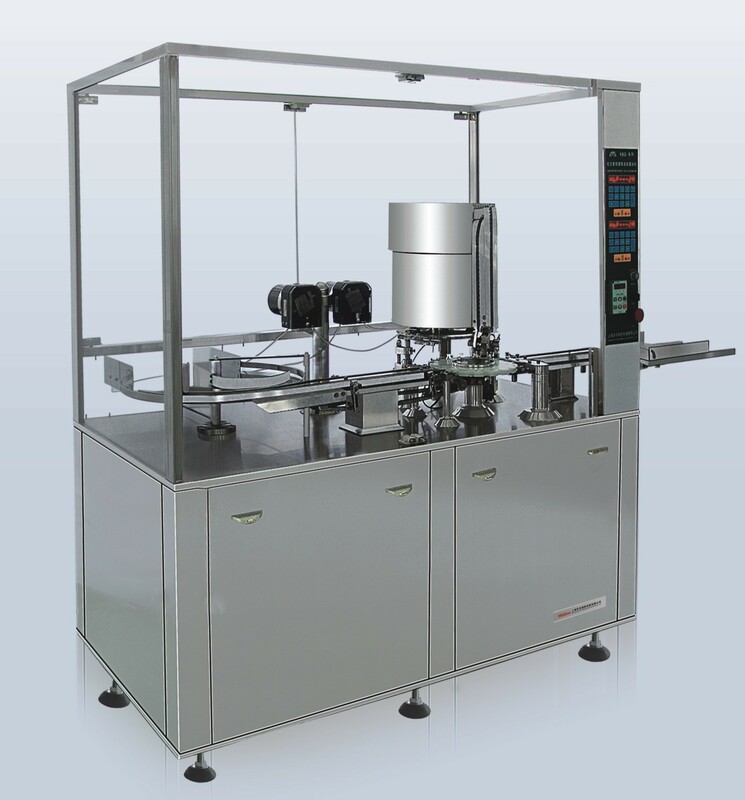 Ø One machine can finish auto vial feeding, auto filling and auto-stoppering. Ø A class-100 laminar flow can be installed for environment protection according to customer’s requirement. Ø The whole machine is designed according to the requirement of GMP.